In addition to ice and snow, driving in the winter months can be hazardous in other ways. When it comes to potential cold weather car problems, it’s important to be careful, both at home and on the road. From visibility issues and battery failure to wildlife crossings and animals seeking shelter under the hood of your car, you need to have a heightened state of awareness at this time of year. Check out these tips for spotting and avoiding danger. You should have a clear view of the road at all times, and other drivers should always be able to see you. If your windows and mirrors are icy, use your defroster BEFORE you get on the road. Make sure your headlights are clean and bright. 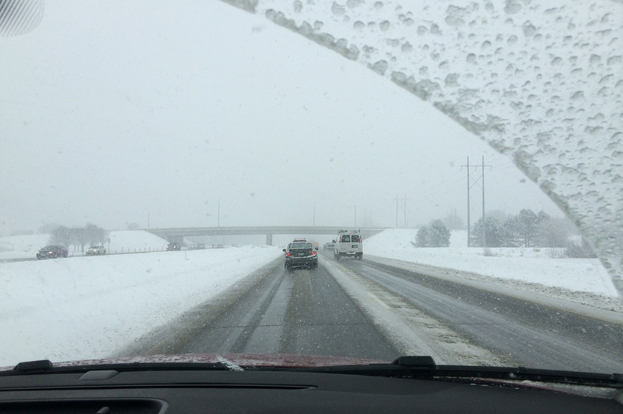 Dim lights can impair your ability to see the road, which is problematic year-round, but especially in wintery conditions. Check to see if your headlights need to be changed by bringing in your vehicle to AAA Car Care. Use your lights anytime the weather is misty, gray, or snowing. When the temperature dips below freezing, your battery can be affected. 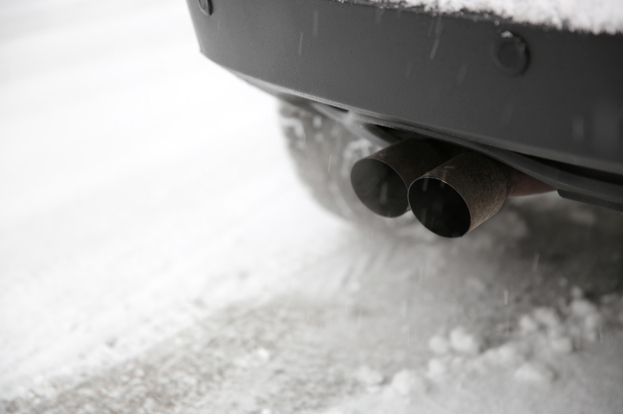 Cold weather can impair your battery’s ability to start your car, especially if the battery is older than three years. Before you find yourself stuck, check your battery and the connections to see if it needs to be replaced. Our AAA Car Care team will give you a FREE battery check at all of our locations across the Carolinas. 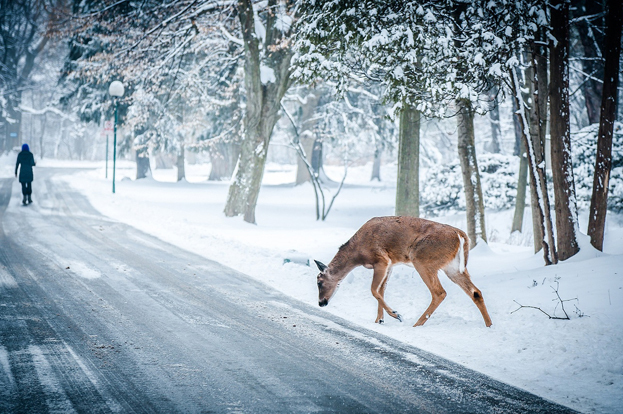 AAA Exchange, most wildlife-vehicle accidents occur during the fall and winter, and many are preventable. To reduce the likelihood of being involved in a crash when an animal inadvertently runs in front of your vehicle, scan the road and shoulders ahead, use high beams when possible, be extra cautious at dawn and dusk, and always wear a seatbelt. It’s important to remain awake, alert, and sober. Watch your speed and honk your horn if you spot something moving up ahead. If you are unable to avoid a collision, press your brakes firmly and stay in your lane. A warm car engine can be irresistible to cats or other small animals on cold winter nights. Unfortunately, those who seek shelter under the hood of a car can be injured or killed when the car is started. Keep your pets safe by housing them indoors during the cold months. Protect other animals who may be hiding under the hood by giving them a warning such as pounding on the hood, honking the horn, or slamming the door before you start your car. 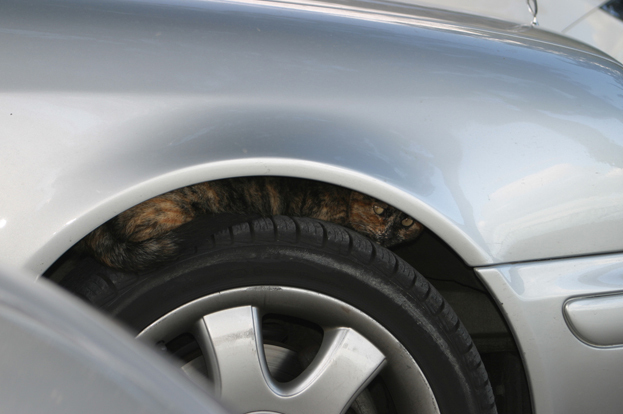 Also, take a quick check underneath the car to see if any animals may be hiding. Although most of us do this, warming up the car on a cold winter’s day can be dangerous and possibly deadly if done in a garage. An idling car in an enclosed area exposes the driver to carbon monoxide and other noxious gases. In addition to the danger, idling will cost you more fuel. The change of season is an excellent time to bring your car into AAA Car Care for service. Our certified technicians offer a full range of repairs and preventative maintenance. 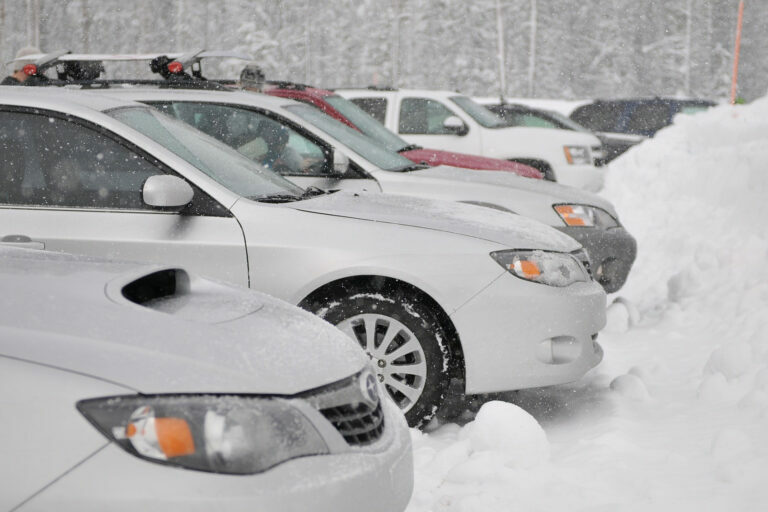 We will make sure your vehicle is in optimal condition before you hit the road this winter. Visit your local AAA Car Care Center to learn more.